CLAYTON, Mo. – Race was not a significant factor in determining which youth were found delinquent at court hearings in the St. Louis County Family Court during the first half of 2018, according to a report released on Thursday. Instead, risk factors including age, a history of previous infractions and the actual legal charges were used in delinquency findings. The report, required twice a year under the terms of an agreement that was reached in 2016 between the Family Court and the U.S. Department of Justice, examined the way juvenile cases were handled at each step in the legal process. 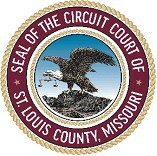 The steps include informal referrals of juveniles made by schools and law enforcement for behavior that did not result in filed charges; secure detention before adjudication; adjudication; formal disposition of more serious cases that result in commitment to the Missouri Department of Youth Services and certification of juveniles as adults for felonies such as murder. The latest report compared juvenile data from juvenile cases filed in the first of 2018 to those for all of the calendar year of 2017. The report found no evidence of disproportionality for black youth at the key decision points of adjudication, court supervision and certification as adults. According to the release, this is a continued trend from last year. Additionally, there was no evidence of disproportionality for Hispanic of Asian/Pacific Islander youth. The court also made “modest progress” in reducing racial disparities in the rate a which formal petitions were filed against juveniles. Black youth aged 10 to 17 accounted for nearly 68 percent of all court referrals in the calendar year 2017, although they make up only a little over 31 percent of the population in St. Louis County. Black youth accounted for the majority of all court referrals, as well as the majority of formal cases at every decision point that was examined in the report. The report found that because a disproportionate number of black youth were referred to the court, they were overrepresented at the front end of the juvenile justice process. However, the overrepresentation diminished as the youth moved deeper into the system. Racial disparities disappeared entirely among the youth formally charged with crimes. The release reported that it remains rare for juveniles in St. Louis County who commit the most serious offenses to be given the most serious consequences. For example, the commitment to the Missouri Department of Youth Services or certification to stand trial as adults. With the number of such cases being small, there was not enough data to determine whether race was a factor in the court’s decision-making. The majority of cases referred to Family Court in the first six months of this year did not result in formal processing but were handled informally by the St. Louis County Juvenile office. Among the youth whose referrals were handled informally, black youth were more likely than white youth to be “counseled and warned,” which represents a less restrictive outcome for black youth rather than placed on informal adjustment. Yet, among the youth who did enter into informal adjustment contracts, black youth were likely than white youth to be placed under supervision. “For youth with more serious behaviors, our shared challenge is finding more robust and effective services to help them get and stay on the right track,” Burkemper said. A public meeting will be held on Tuesday, Dec. 4th at 6:00 pm at the University City Board Building (8136 Groby Rd., 63130) where the Family Court and the St. Louis County Children’s Service Fund will be able to hear community concerns. Judges, advocates and court staff will be there to discuss current initiatives to keep children out of the juvenile justice system as well as efforts to promote fairness and equity for those who are in the juvenile justice system.